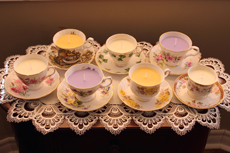 We offer beautiful vintage teacup candles. We make our candles from vintage fine bone china teacups from England and 100% pure soy wax, organic essential oils and all natural cotton wicks. 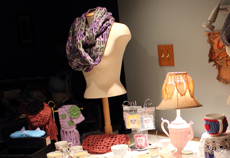 We also offer a variety of handmade crochet items: Hats, scarfs, cell phone cases, key chain lip balm holders, mug cozy, face cleaning pads, soap savers. Our handmade microwaveable kitty and dog shaped all natural heating pads. Filled with flax seeds and essential oils are a treat with all ages. Our handmade tooth fairy pillows are small stuffed mini cotton pillows with beaded lace trim. Each pillow has a cute little tooth character on the front and a separate pouch on the back for safe keeping of your tooth. Our handmade crochet hats, scarfs, cell phone cases, key chain lip balm holders, mug cozy, face cleaning pads, soap savers. Our handmade tooth fairy pillows are small stuffed mini cotton pillows with beaded lace trim. Our handmade microwaveable kitty and dog shaped all natural heating pads. Filled with flax seeds and essential oils are a treat with all ages. Our handmade pictures are created and inspired by the world around us with love.